Congrats to ANGELA MORGAN !!! 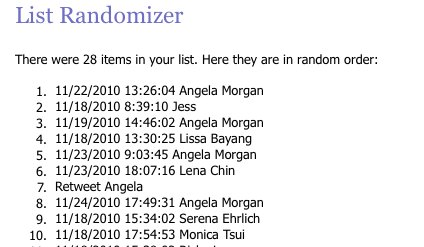 Please contact me right away at amyjean@relentlessbride.com so i can put you in touch to collect your winnings. Thanks for entering guys and stay warm in this chilly weather!!! I am beyond excited to have won!! Thank you Amy Jean for having this awesome giveaway and being an invaluable resource for my wedding planning and inspiration!